MY BLOG - Working For You Every Step of the Way! Beautifully appointed 1 Bedroom and 1.5 Bathroom Condo fully remodeled. Some lucky buyer is about to have it made. Get the SOLD sign ready! This condo looks like a great opportunity for a buyer! 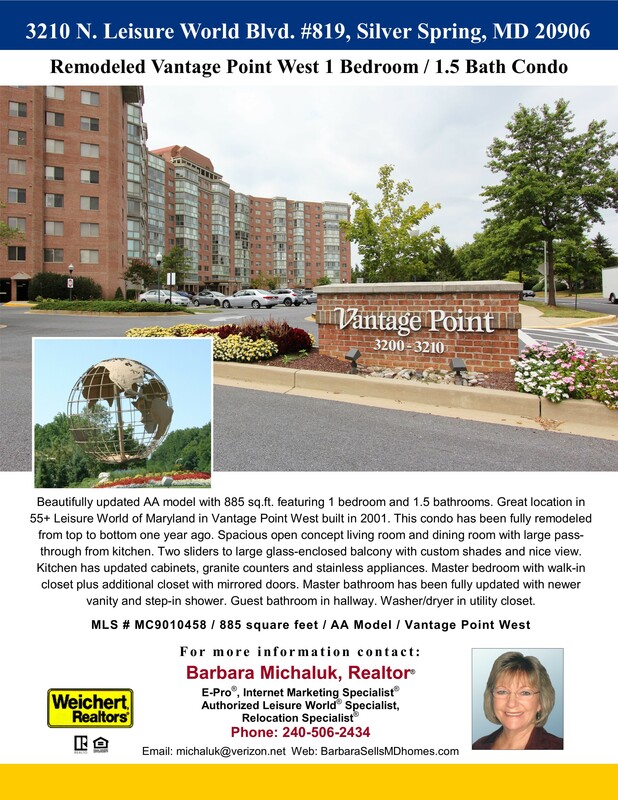 Post © 2019 Barbara Michaluk, Top Producing / Full Service REALTOR in Marylan (Weichert Realtors | Silver Spring, MD Phone Direct 240-506-2434). Design © 2019 ActiveRain, Inc. All rights reserved, Inc.